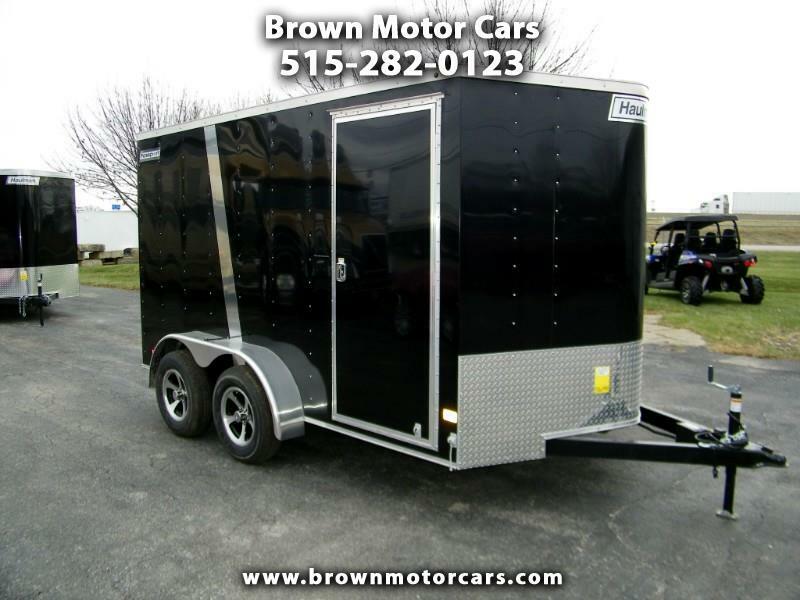 Thanks for looking at our 2019 Haulmark Passport 7x12 v-nose enclosed trailer! This trailer is very sharp and has a lot of features including 6'6" interior height, 3/4" flooring, white interior side walls,RV side entry door, rear ramp door w/extension flap and transition flap, roof vent w/LED chandelier light, 12v interior dome light, aluminum wheels w/radial tires, rear stabilizer jacks, 24" atp stone guard, and much more! Give us a call with any questions or stop out and take a look at this one for yourself.